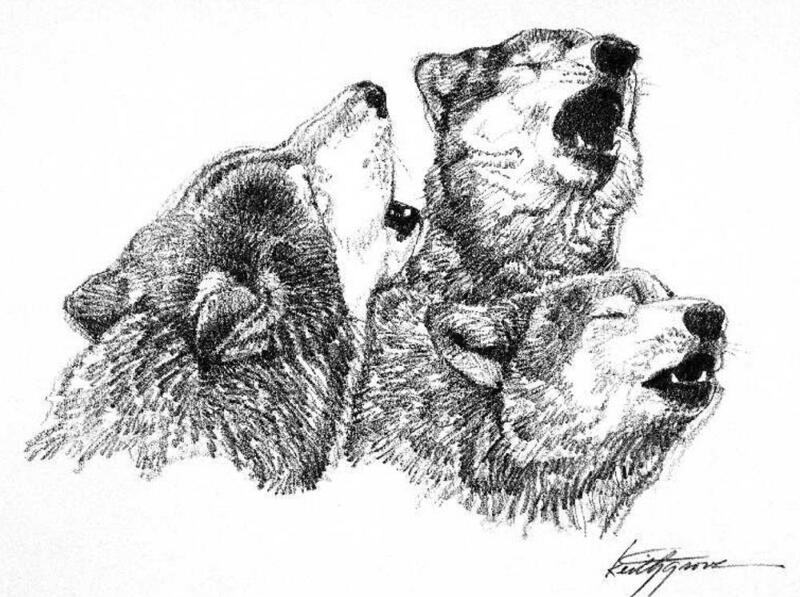 Wolf drawing on the cover of the Michigan Wolf Management Plan. Gray wolves in the western Great Lakes region went back on the federal endangered species list last December. That's when a federal judge vacated the U.S. 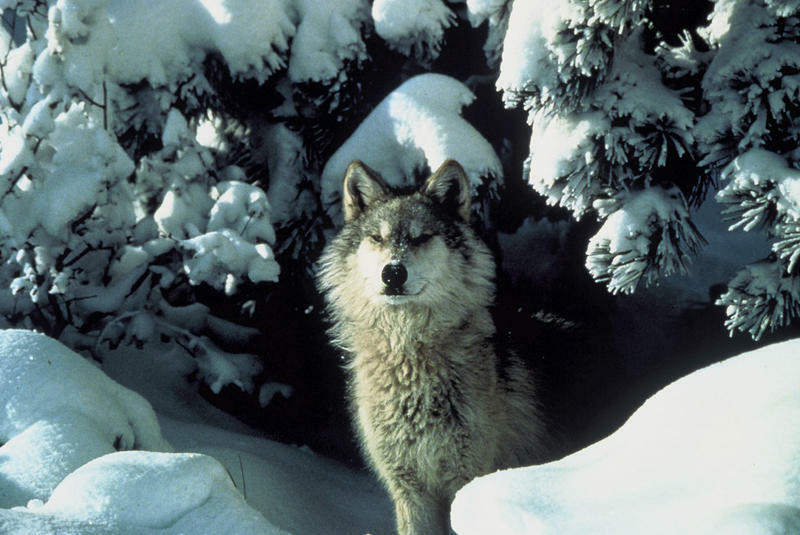 Fish and Wildlife Service's 2011 delisting of the gray wolf in the western Great Lakes. Per the December 19, 2014, court order, any and all gray wolves in all of Wisconsin and Michigan, the eastern half of North Dakota and South Dakota, the northern half of Iowa, the northern portions of Illinois and Indiana, and the northwestern portion of Ohio are listed as an endangered species under the ESA. Any and all wolves in Minnesota are listed as a threatened species under the ESA. With this designation, the controversy surrounding a wolf hunt in Michigan has been suspended. So long as the wolves are protected under the federal Endangered Species Act, it is illegal to hunt or kill them. The Endangered Species Act does allow a person to kill a wolf in protection of human life and safety. But if someone is having trouble with a wolf preying on livestock or domestic dogs, they are encouraged to contact USDA Wildlife Services for help. Legislation to overturn it has been introduced in Congress. More than 50 scientists this week signed a letter to Congress saying wolves occupy a small fraction of their former range and still need legal protection. The Michigan Department of Natural Resources issued a press release last December when the judge's ruling was filed. The MDNR has had a state wolf management plan in place since 2008. Russ Mason, the MDNR's wildlife division chief said the judge's ruling was "surprising and disappointing." "Wolves in Michigan have exceeded recovery goals for 15 years and have no business being on the endangered species list, which is designed to help fragile populations recover - not to halt the use of effective wildlife management techniques," [Mason said]. The DNR will work closely with the Michigan Attorney General's office and the U.S. Fish and Wildlife Service to determine the full impact of this ruling on the state's wolf management program and identify next steps. "In the meantime, the Wildlife Division will continue updating the state's wolf management plan, which includes the use of hunting and other forms of lethal control to minimize conflict with wolves," Mason said. "Although the federal court's ruling prevents the use of these management tools for the time-being, the Department will be prepared for any future changes that would return wolves to state management authority." Over the last decade, Michigan's gray wolf population has ping-ponged on and off the Endangered Species List as court rulings overturned federal actions. The latest delisting was the longest. The wolves were under state management for three years, from December 2011 to December 2014. The state Senate is urging Congress to end endangered species protections for gray wolves in Michigan. It passed the resolution Tuesday on a mostly party-line vote. Michigan has been debating for years whether to allow a wolf hunt in the Upper Peninsula. That question was recently put to rest when a federal judge ordered Michigan wolves back on the endangered species list. TRAVERSE CITY, Mich. - A federal judge has overturned an Obama administration decision to remove the gray wolf population in the western Great Lakes region from the endangered species list. 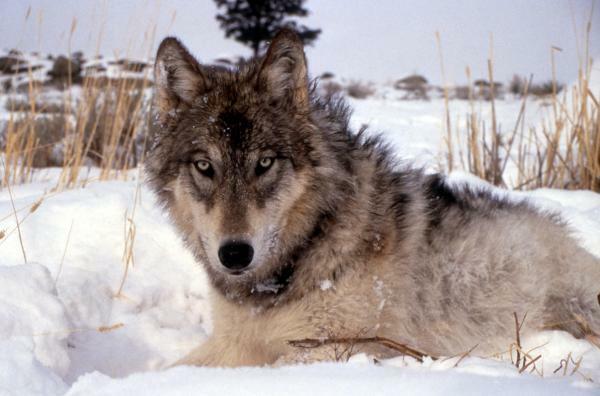 The order affects wolves in Michigan, Minnesota and Wisconsin. The U.S. Fish and Wildlife Service removed federal protections from those wolves in 2012 and handed over management to the states. In an order Friday, U.S. District Judge Beryl Howell ruled that the removal was "arbitrary and capricious" and violates the federal Endangered Species Act. State wildlife officials are looking for wolf poachers in the Upper Peninsula. 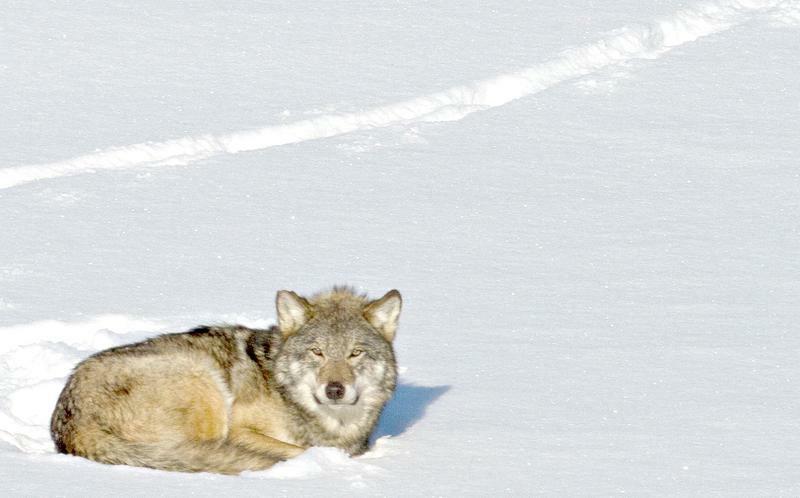 Two wolves were killed last month in Mackinac and Schoolcraft counties. In one case, a tracking collar on one of the wolves was removed. Michigan voters rejected a pair of referenda on state laws authorizing a wolf hunt in the Upper Peninsula. Wolf hunt opponents celebrated tonight. “The people of Michigan have shown that they don’t want the trophy hunting and trapping of wolves,” says Jill Fritz with the group Keep Michigan Wolves Protected. But this may just be a pyrrhic victory for wolf hunting opponents. The results of Tuesday’s vote amount to a non-binding referendum. 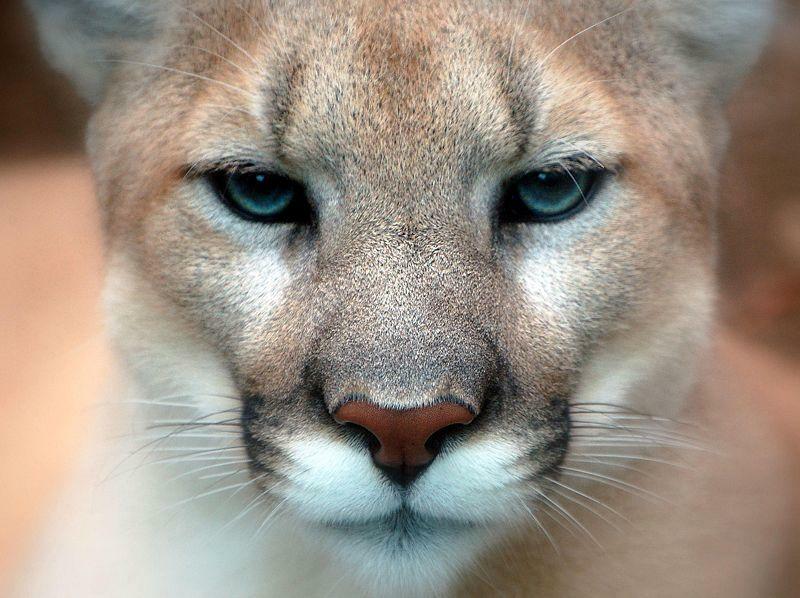 LANSING, Mich. (AP) - State Natural Resources officials say two Bay County men face charges after a cougar was illegally killed in Michigan's Upper Peninsula. Officials say Friday in a release that conservation officers arrested the men after receiving a tip that the cat was killed at a hunting camp in northeast Schoolcraft County. The case will be turned over to the county prosecutor.